COVER REVEAL: Fifty Shades of Grey Movie Tie-In Novel Available Worldwide January 2015! EL James reveals new cover for Fifty Shades of Grey movie tie-in novel. 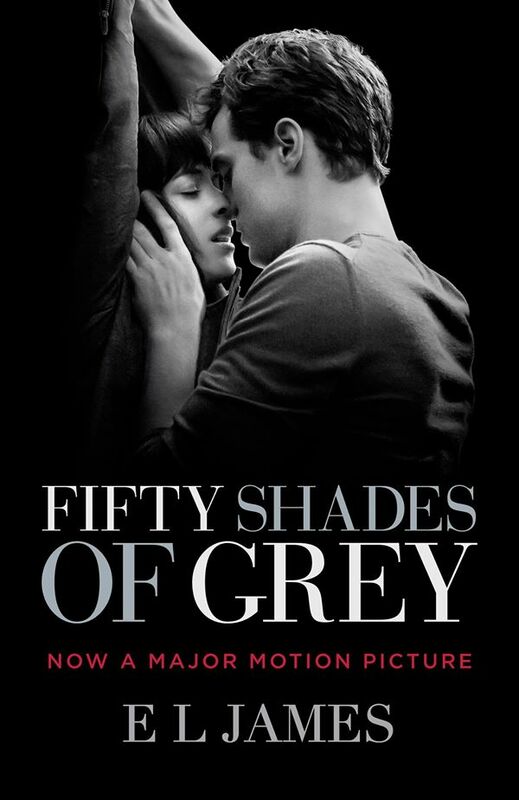 ***UPDATE (1/6/2015): The Fifty Shades of Grey movie tie-in edition is now available! Order your copy HERE. I’m not embarrassed to admit that I’ve been watching the new Fifty Shades of Grey trailer on repeat for the last 5 days. I love being able to see our favorite moments from the book brought to life, and Jamie Dornan (Christian Grey) and Dakota Johnson (Ana Steele) certainly hit the nail on the head! As February 2015 gets closer, you know we’ll be getting more and more goodies. Yesterday, EL James shared the new movie tie-in cover for the FSoG book on her official Facebook page, and it is HOT!